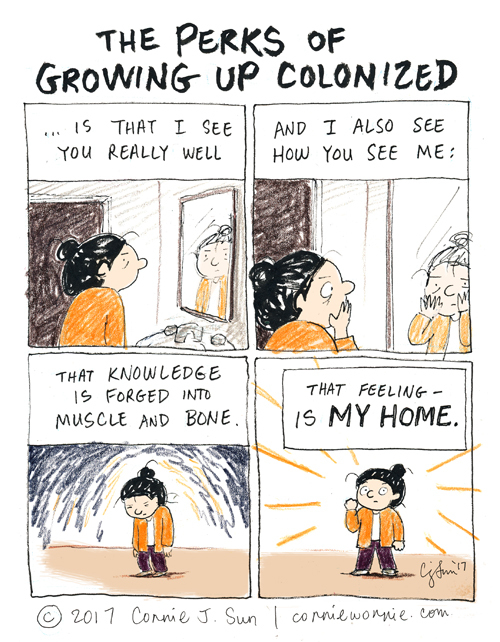 I'm not sure I understand what you mean by "colonized," but I too have had to find the feeling of being in myself, not a nation or place or religion. I was born an outsider, even in my own family. I am devoutly religious but not as those who surround me would understand it. Eventually we have to become our own "home."